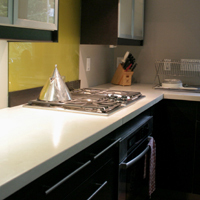 Concrete surfaces are a very durable, easily mantained and a natural addition to a home. Not limited to just countertops, CS Snider Designs works with clients in Asheville and surrounding Western North Carolina areas to make a unique surface indoor or out that not only is functunal but asthetic as well. Every piece is custom, and the choices of color and design are endless. Contact Shane Snider to find out more about custom concrete surfaces.